Did you ever listen to a CD and after hearing the first song, the second song starts and you think that someone has switched CDs on you? 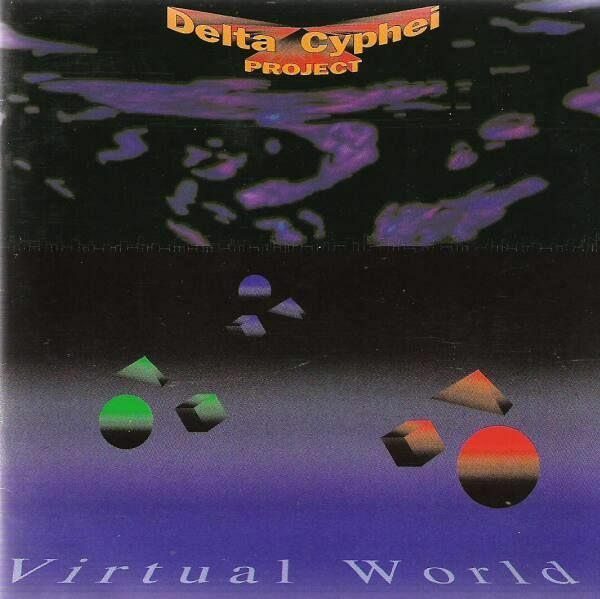 That's precisely what happens with Delta Cyphei Project's (DCP) Virtual World. The first track, "Welcome," starts with smooth Pat Metheny style guitar tones leading into a Jeff Beck influenced solo, then backs down and Iggy Pop sounding vocals begin. Just when that settles in, the second track, "Forgotten Signs," starts and it sounds like something from Frankie Goes to Hollywood! And there's some totally different vocalist to boot. That pretty much sums up the quirkiness of this album. Although there are several interesting bits and pieces on the album, there is something missing in the consistency department. As mentioned above, there is some nice guitar work, and some cool piano too, but there is also some fairly pedestrian stuff as well. There are also too many vocal styles on the album. The vocals go from sounding like Iggy, to Bon Jovi, to Klaus Meine from the Scorpions, to some truly annoying Jon Anderson wannabe whiner. A highlight of the album is the odd variety of percussion used: there's marimba, timbales, vibes, as well as many other more esoteric devices the names of which I don't know. I'm not sure if it's the drummer or the keyboardist, or both. Whoever it is, it's an interesting touch. There's some pretty creative sampling too. Many people wouldn't consider this album to be progressive rock, and in many ways, I'd agree with them. Any progressive influences are more from the neo-prog genre than any older bands. To my ear, there's more of a jazz or electronic flavor to the good parts. While there is some really flowing riffs with interesting rhythms and melodies, there is an equal number of parts that could be from any song on some album by anybody. I don't know if any of the songs except the last track, a drum solo, are really solid from beginning to end. Sections of a few of the tracks really bring weaker INXS songs to mind. I also question the choice of having the drum solo end the album. While it's actually pretty cool, its placement is strange. On second thought, maybe it fits — a weird ending to a weird album.